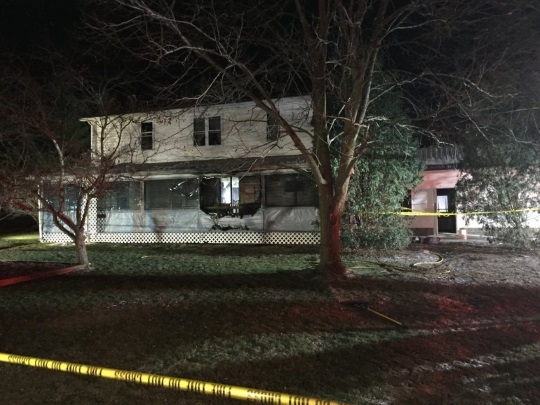 One child died and 10 people were injured when a fire tore through the home of an Amish family Wednesday evening in Middlefield, Ohio. The two-year-old was declared dead on arrival at nearby UH Geauga Medical Center, according to NBC-affiliate WKYC. 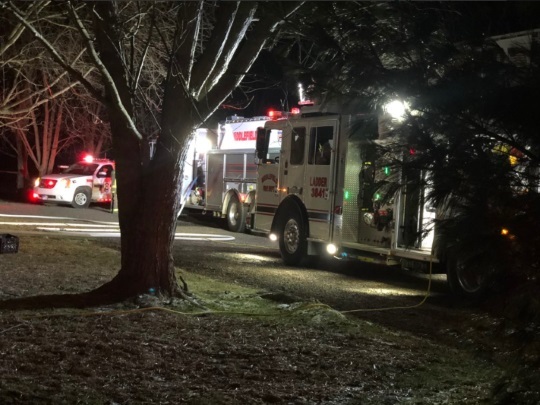 The first fire crews arrived at the two-story, wood-framed house at 6.21 p.m E.T., Middlefield Fire Department reported. Light smoke was seen flowing from the building. Firefighters searched the property for the young girl after bystanders said a child was still in the building. They found her unresponsive and removed her from the burning home. Numerous injured adults and children were found in a shop on the property. Four victims were medically evacuated to nearby hospitals via helicopters. Five were transported by ground ambulances. Two further victims were treated on the scene. Multiple local fire and ambulance crews attended the scene. Firefighters battled the fire for about 20 minutes before declaring it “under control.” Authorities left the scene at about 10.30 p.m. No firefighters were injured during during the incident. Some of the family have severe burns. Victims ages range from one year old to early 40s. Some Amish categorically oppose smoke alarms. I’m not aware that this is a family from one of those groups. For what it’s worth, Geauga County has two separate affiliations – a larger, more progressive group, and a small more conservative group known colloquially as “Number Twos”. Steve Scott describes the Number Twos as the “equivalent of the Andy Weaver Group” – a rather conservative subgroup in Ohio (see “Clusters of Amish Subgroups and Networks”, unpublished paper by Steve Scott, 2009). It’s unknown at the time of posting how the fire started. I did not see any info in the multiple news reports so far on contributing for the family, but if so, will post it. In any case a reminder to be grateful for safety and the roofs over our heads, in light of this tragedy and of course the massive California disaster. Prayers for all those affected. I read in a local report that it was from a gas lamp. Thanks Gretchen. Do you happen to have a link to that report? I’ll update the post. Thanks for sharing these Gretchen. Just checked again and do not see any updates in the traditional media. It may very well have been a gas lamp though. Karen Miller Update! Latest update is 2 year olds funeral is tomorrow. Father and 1 son are out of the hospital. 3 in critical condition and the Mom is not doing well. It’s not true that a second one passed as was stated earlier. Middlefield fire Captain Tony Yeropoli (yer-OH’-poh-lee) says the blaze has been ruled accidental. He says investigators couldn’t definitively determine why the fire began, but it’s possible that playing children might have damaged or knocked over the lamp. He said Friday that he couldn’t provide any update about the conditions of the injured family members, who included children.